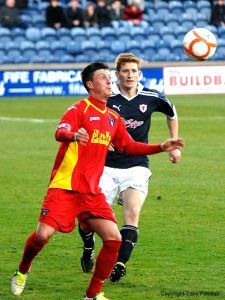 Raith Rovers manager Grant Murray has moved quickly this afternoon to complete the signing of former Dunfermline Athletic midfielder Joe Cardle (26) on this the final day for player registrations this season. Joe was one of several Pars players made redundant last week and he is delighted to now be continuing his career at Stark’s Park. Initially the contract is for the remainder of this season but both club and player hope that agreement can be reached to extend the deal into next season. The contract signed today is subject to SFA and SFL confirmation.